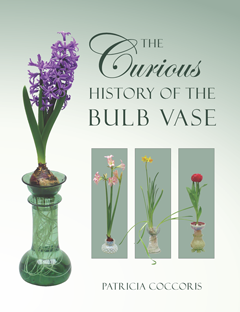 The Curious History of the Bulb Vase looks at the extensive range of bulb vases that appeared in Great Britain from the mid-18th century to date. Not only did they capture the imagination of Victorians, the sheer numbers produced are staggering. Much of the credit for the success of bulb vases can be placed at	the feet of George Piercy Tye, a Birmingham industrialist who	designed and produced the most innovative of glass bulb vases. Although interest in bulb vases trailed off in the early	part of the 20th century, it is now showing something of a revival. Modern vases, such as those designed by	Dartington Crystal and Margaret Howdle, demonstrate that the art and the interest in this area are as high as ever. See www.hyacinthbulbvases.com for more details.